Everyone talks about the need for brands to keep up with consumer demand, yet, curiously, some brands have lived on beyond their purely functional need, largely because they carry with them associations that continue to burn strong. Watches – for example. Who needs a Rolex today to tell the time (did they ever?) and yet the marque is unchallenged because prestige is an idea that never goes out of style. Zippo is another brand that has outlasted the heyday of cigarettes. As this article in Ad Week explains, “Harnessing its long-standing popularity with men and its indelible associations with fire, Zippo now sells an Outdoor Line that includes everything from emergency fire starters to hand warmers.” True diversification. In a world where so many brands lose relevance and fall by the wayside, what lessons should we take from iconic brands that have successfully passed their necessity date and continue to prosper? The issues faced by Victorinox seem to me to symbolize the dilemmas and the opportunities. Their Swiss Army knives not only remain a cultural byword for versatility, but the brand itself has continued to successfully extend its franchise and its story. There are lessons to be learned from this by all brands. As the current CEO, Carl Elsener explains on the brand’s website, the story of Victorinox begins in 1884 when his great-grandfather Karl Elsener made a knife for the Swiss army that offered many functions combined in a single tool. But that, he says, is not what turned the Original Swiss Army Knife into a legend. “It’s about the stories our customers experienced in which our products played a vital role: stories about memorable moments of adventure and expeditions on earth, in the sky, and in space. Dramatic stories in which our products contributed to solutions and saved lives.” Like other ‘outdoor’ brands, Victorinox has successfully relayed the stories of its customers and parlayed them into legend. Those stories, and the circumstances that surround them, have kept the brand alive in the minds of people across the world. Today, owning a Victorinox is as much about the love of what it could do, and has done, as opposed to direct requirement. First lesson: it’s not about how relevant you are to the consumer, it’s about how relevant you feel for them. Through the years, the Swiss Army knife has been threatened by forces that even the most lateral analyst could easily have missed: the rivalry for pocket space from other devices; and the security issues that followed on from the September 11 attacks. In fact, I read somewhere that sales fell dramatically after airlines banned knives onboard planes. If that’s true, it just goes to prove that in the knife business, just like in every business, sometimes situations you could never have known about or foreseen can turn into your greatest market threat. Yet Victorinox came back. Second lesson: Threats really can come from the strangest places, and survival is not always about having a plan – because you can’t have a plan for everything. Sometimes, it’s about having or finding a response. Could you deal with an out-of-the-blue event? Third lesson: country of origin can be a powerful product advantage if it is compatible with your values and the way that people perceive you. In this case, Swiss quality and perfectionism not only fits the image of the brand, it’s also helped shield it against cheaper knives and poor imitators. That’s an important point in a world where everyone is sorely tempted to outsource to save money and where products synonymous with one country are no longer made there at all. In an article celebrating his love affair with the Swiss Army Knife, Jonathan Glancey writes, “it is still made at Ibach in Switzerland; it would surely lose much of its mystique if it were made anywhere else.” What heritage can your brand call on? What does your brand’s country of origin represent that you can capitalize on? Fourth lesson: When the visual association with your brand is as strong as the bond that people have with Victorinox, you can diversify successfully. 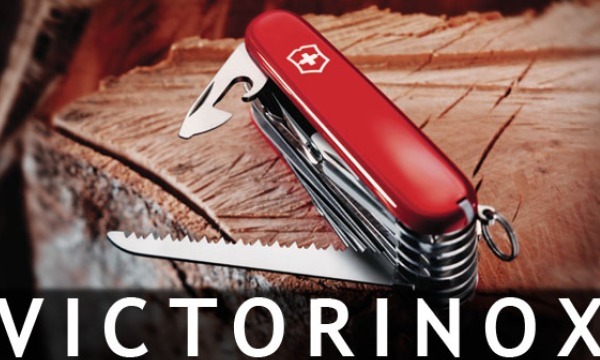 Victorinox now sells luggage, kitchen knives, clothing, watches and even perfume. They’ve also upgraded their knife range to include gadgets for a full range of interests and vocations. How far would your identity travel beyond your current sector – and still be recognizably yours? Why? What’s your eternal idea? Fifth lesson: your most powerful association may not be the most important part of your business. For example, Victorinox is synonymous with the Swiss Army Knife, but actually military sales make up only a tiny percentage of annual sales. There’s an insightful article by Angela Ahrendts about how important it is to center a diversifying brand around a singular idea. “It’s not unusual for a luxury company to be born from a single product and then diversify,” she observes. “Louis Vuitton began with luggage, and Gucci with leather goods. But even as they diversified, each continued to earn the majority of its revenue from its original core products. Surveying the industry, we realized that Burberry was the only iconic luxury company that wasn’t capitalizing on its historical core. We weren’t proud of it. We weren’t innovating around it.” That realization would put the trench-coat at the front and center of the revival of Burberry. How does what you are known for align with how much you actually sell? A labor-intensive production process can be a competitive advantage. It adds to the sense of quality and it actively discourages outsourcing, thus protecting the brand’s charm and integrity. Sixth lesson: In a world where everything is mass produced, something hand-made in Switzerland is a real treasure. What gives your products value? Are the processes that you use to make them smart or convenient? 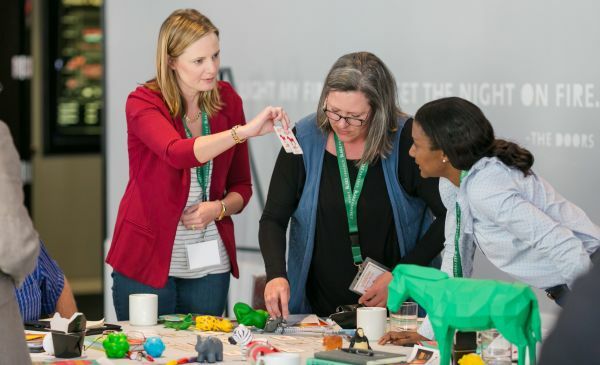 Final lesson: one of the great rewards of a great combination of legacy and idiosyncrasy is that one day another generation could discover your brand and be just as intrigued as their forebears. Who will discover you next, and why? The attraction of that thought should be tempered perhaps by this finding by McKinsey: there is no real proof that age makes a company any more profitable. In fact, their study found that of the 74 or so companies that have been in the S&P 500 for more than 40 years, only a dozen or so have managed to beat average stock market performance. Perhaps, as I have suggested elsewhere, every brand, even those that have defied the odds so far, must come to an end at some point. Have you planned for that? Thank you for another great post, Mark. The Angela Ahrendts comment about product diversification around a tightly-defined brand idea is a really important and much misunderstood point for innovation: a strong brand enables and orients product innovation. Sandra – I completely agree, because of course it provides such a powerful anchor. Thanks, Mark.